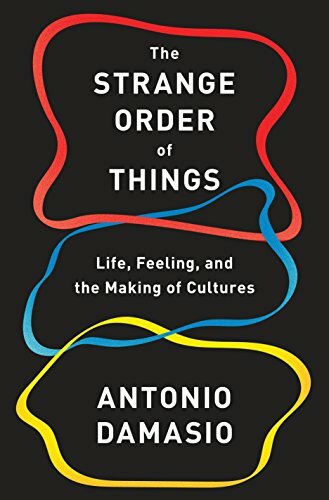 Fans of Antonio Damasio knows that he likes to tackle big questions, and The Strange Order of Things is no exception. His quarry this time is homeostasis, a topic he has lectured on for a while. Conventionally defined, homeostasis is the propensity of all living things to maintain a stable internal environment (or milieu). It is the regulation of life within a certain range that that makes survival possible. In his view it counteracts entropy, the tendency of things to drift into disorder. But it doesn’t just maintain a previous state of order: It raises it to a new level. Skeptics will pounce, of course, at the author’s daring. But he is clear when addressing humanists that he is not reducing cultural phenomenon to their biological roots, nor claiming that science can explain “all aspects of the cultural process.” He does take the reader on a journey from single cells, to nervous systems, to self-conscious, self-directed minds. One can’t fault him for lack of vision or ambition. What follows as he ascends the scale to us today is breathtaking, thought-provoking, and simply fun. Agree with the author or not, the book is an enjoyable read. It will challenge many of the reader’s assumptions as well as the status quo. Along the way Damasio emphasizes embodied cognition, the notion that the mind does not arise solely from the brain but from the interaction of the entire nervous system with the physical body. He also reverses the common belief that life began with the chance evolution of genes, arguing instead that the homeostatic imperative existed in the very first life forms, to be followed later on by genetic material. This arrangement is how genes generate progeny and the ultimate end of homeostasis, which is to project a species into the future so that it endures.